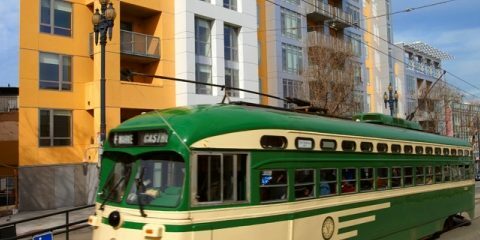 Transit-oriented apartments developed on a highly accessible site along San Francisco’s Market Street at the nexus of several vibrant neighborhoods: Hayes Valley, the Mission, South of Market, the Castro and the Lower Haight. 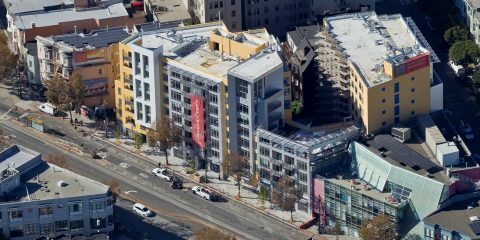 Eight-story residential building (atop an underground garage) that was developed on a vacant, half-acre site that is located on Market Street amid a wide range of dining, shopping, entertainment and transit options, including city and regional bus and underground-rail services. Entrance ramp to U.S. Highway 101 is less than one block east of the site, making the property an ideal location for residents driving south to work on the San Francisco Peninsula and in Silicon Valley, as well as for commuters into San Francisco’s financial district. Acquired the site by first purchasing a non-performing note secured by the property and then taking title to the real estate. 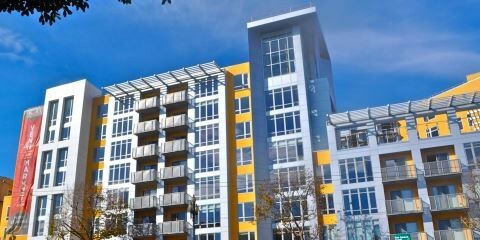 The previous owner was preparing the site for construction of residential condominiums when the recession hit. 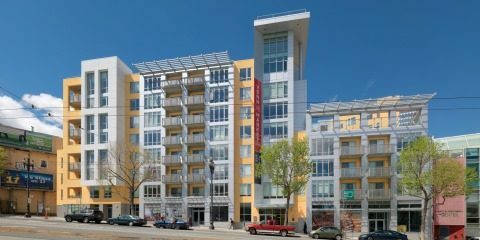 Fourteen apartments (12% of the total built) are designated as affordable housing for low- and moderate-income residents. Certified as a LEED-Silver building under the U.S. Green Building Council’s Leadership in Energy and Environmental Design (LEED) rating system.